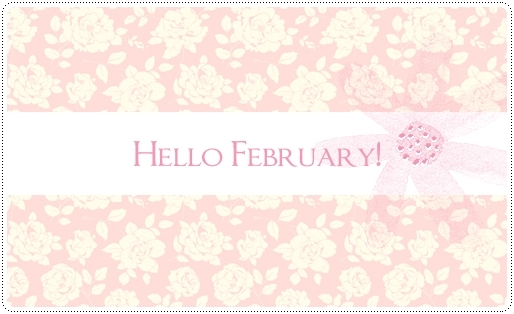 So february has finally arrived! It’s my prefered month! Why? Ah because of many things! But mostly because it is the month of my birthday! yeah (I know, in a few years I’ll be hating february)! My year had a lovely beggining even if the weather in France is a bit too cold for my taste. At least it was cold but with enough snow to make things more beautiful. And also, I had many visitors and comments from you! And this is the very best! I’m happy that I finally started to create my own template, from the very SCRATCH! I found in it a big passion! Now every cute image I find I think about how it would be on a site! I wish it was as easy and simple as creating patterns to the sims! Thank you for following me and for the comments!! And don’t forget to check out my tumblr sometimes! HAPPY BIRTHDAY Camille I hope your special day is filled with lots of fun, surrounded by your family and friends. ahhh Sweet Lorry!! Thank you so much!!! Having you around is one of the best gifts!! Thank you so much for visiting me always! !